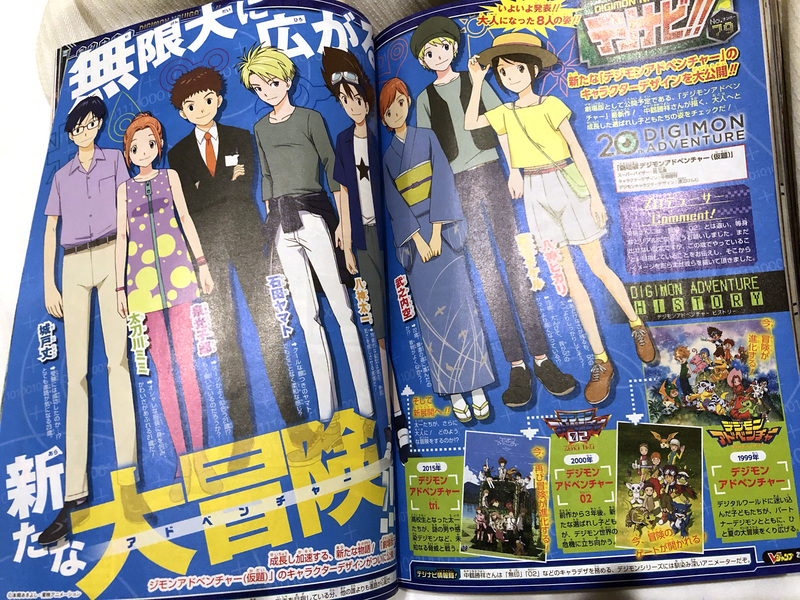 The big news this time is, of course, the designs for the Digimon Adventure 20th anniversary anime. There are more images, and discussion of this in this thread, so hop over there to see more and talk about the new designs and information from the spread. Onto the other 2 pages! 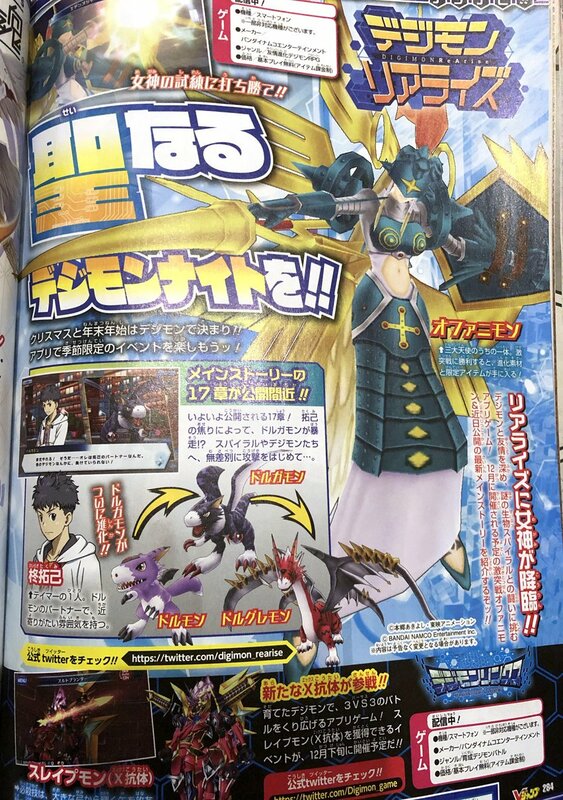 For ReArise they discuss the Ophanimon Clash Battle happening this month, and that Chapter 17 of the story will debut Dorugreymon. For Linkz they show off Sleipmon X-Antibody. 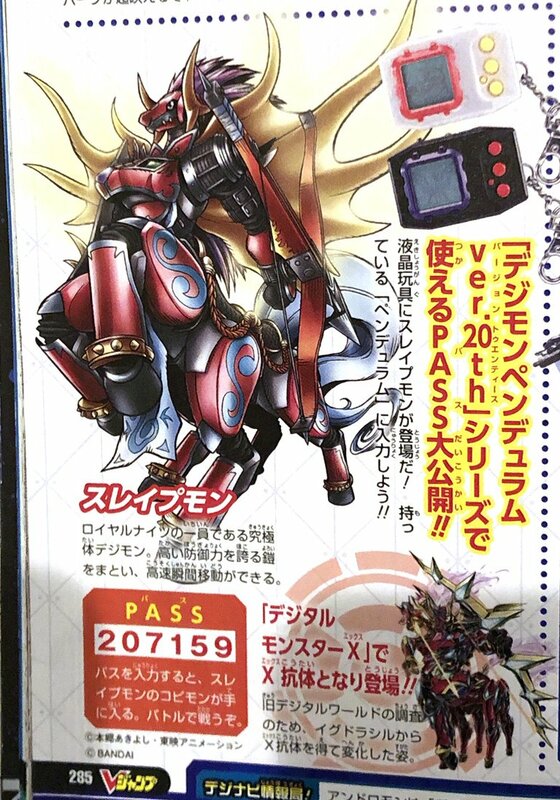 Speaking of Sleipmon, they reveal the passcode to get his Copymon in the 20th Pendulums! It's 207159. They also show off his X-Antibody form a bit more. 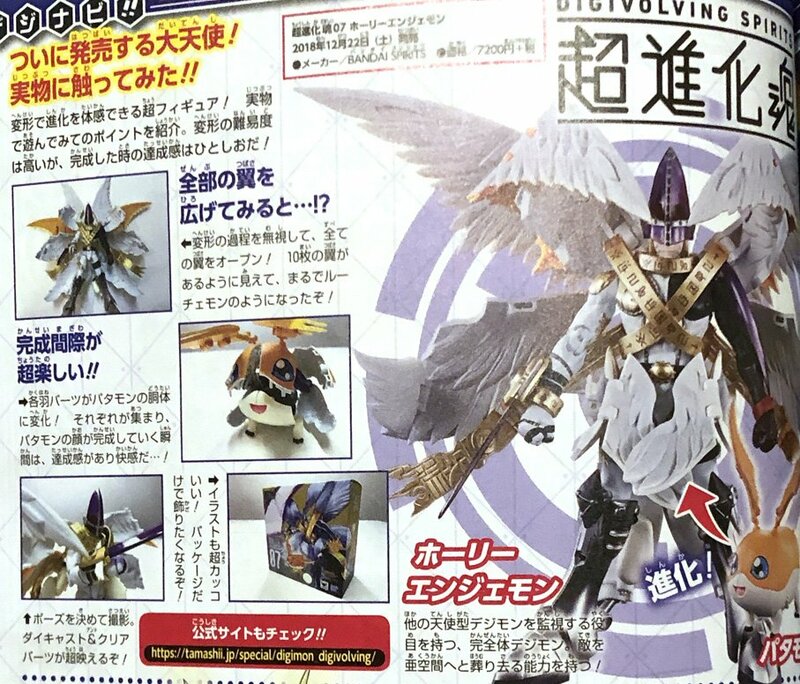 Digivolving Spirits HolyAngemon is shown off quite a bit The publishing date of the magazine was the 21st, and it's now the 22nd in Japan, so the figure is out right now! And they are doing a preview event for it! And last up is a look at the Capsule Mascots. We get a preview of the figures from series 6, which will be out in January. The lineup for series 6 is Centarumon, Unimon, Drimogemon, Giromon, and Andromon. And after being announced last month with just art, we get a look at the renders for the figures for series 7. 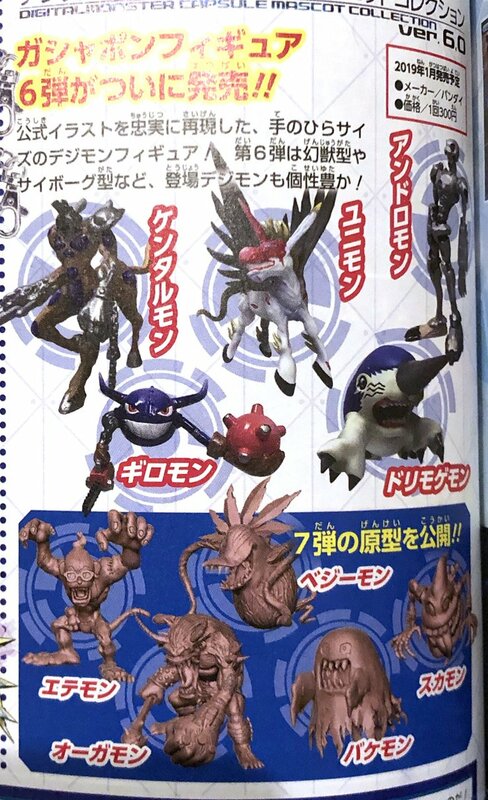 The lineup for series 7 is Vegimon, Bakemon, Scumon, Ogremon, and Etemon. There is no release date for these yet. Thanks to Ayushi for the images and garm for translated details! Looking forward to Angemon. Shame no Survive news, it has been a fair bit. Hopefully ramping up in the new year; I just want that sweet sweet summer release date. Capsule mascot looking good as usual, though nothing quite so interesting this time around. Hopefully news on Premium capsule Wave 2 soon. Last edited by BlankShell; 12-21-2018 at 05:11 PM. Oh this is nice. Good to see the new info. Survive must be fun.